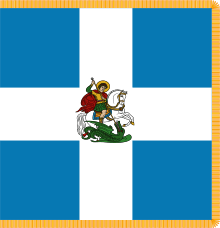 The Hellenic Army (Greek: Ελληνικός Στρατός, Ellinikós Stratós), formed in 1828, is the land force of Greece. Along with the Hellenic Air Force (HAF) and the Hellenic Navy (HN), it makes up the Hellenic Armed Forces. It is currently the largest branch of the three. The army is headed by the chief of the Hellenic Army General Staff (HAGS), which in turn is under the command of Hellenic National Defence General Staff (HNDGS). The motto of the Hellenic Army is Ἐλεύθερον τὸ Εὔψυχον (Eleútheron tò Eúpsychon), "Freedom Stems from Valour", from Thucydides's History of the Peloponnesian War (2.43.4). 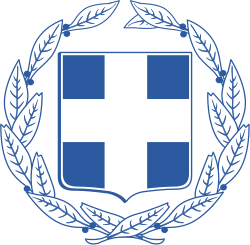 The Hellenic Army Emblem is the two-headed eagle with a Greek Cross escutcheon in the centre, representing the links between modern Greece, the Greek Orthodox Church, and the Byzantine Empire. 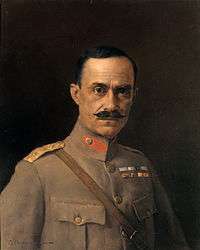 The dismal performance of the Hellenic Army in the war of 1897 led to a major reform programme under the administration of Georgios Theotokis (1899–1901, 1903–1904 and 1906–1909). 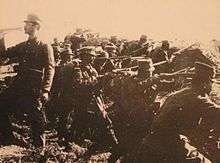 A new Army Organization Statute was issued in 1904 (revised in 1910), purchases of new artillery material (including the 75 mm Schneider-Danglis 06/09 gun) and of the Mannlicher–Schönauer rifle were made, and a new, khaki field uniform was introduced in 1908. 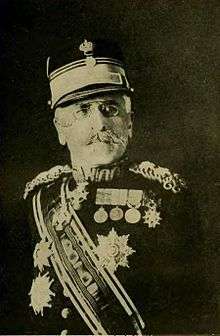 Reform was accelerated after the Goudi coup of 1909; the new government under Eleftherios Venizelos brought a French military mission to train the Hellenic Army. 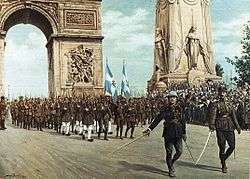 Under its supervision, the Greeks had adopted the triangular infantry division as their main formation, but more importantly, the overhaul of the mobilization system allowed the country to field and equip a far greater number of troops than it had in 1897: while foreign observers estimated a mobilized force of approximately 50,000 men, the Army eventually fielded 125,000, with another 140,000 in the National Guard and reserves. 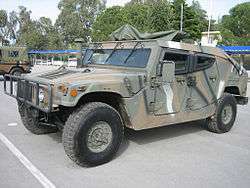 The heavy equipment and weaponry of the Hellenic Army is mostly of foreign manufacture, from German, French, American, British and Russian suppliers. 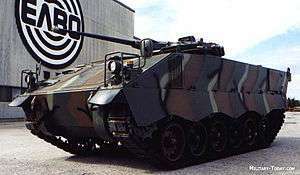 A notable exception is the indigenous Leonidas armoured personnel carrier which was built by the Hellenic Vehicles Manufacturer Industry ELVO. 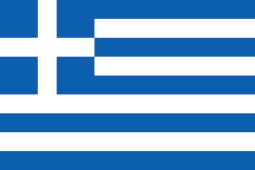 ↑ Official Greek Defence Staff PR (18MB). ↑ Οι πρώτες προσπάθειες οργάνωσης τακτικού Στρατού (1821-1831) [The first efforts towards organizing a regular Army (1821-1831)] (PDF) (in Greek). Hellenic Army General Staff. Retrieved 18 April 2012. 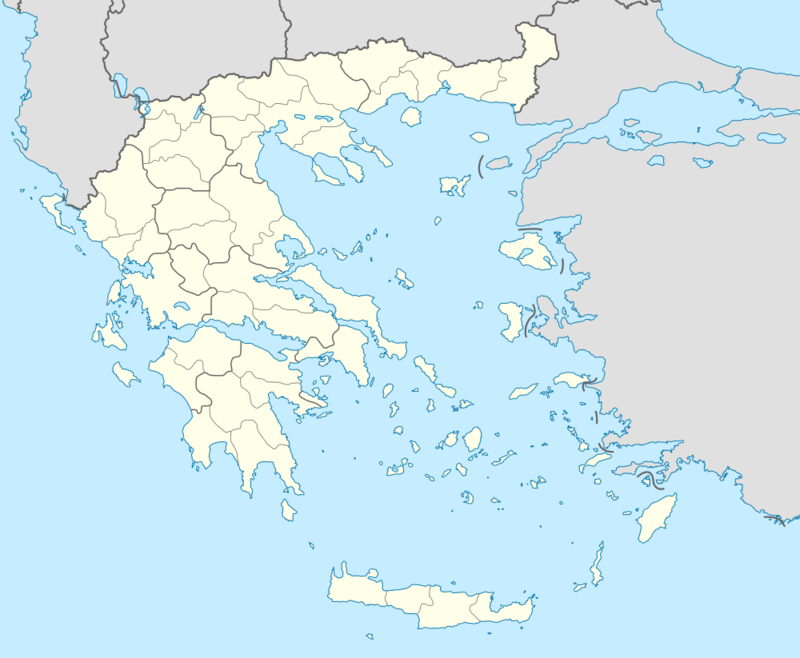 ↑ Ο Στρατός επί της βασιλείας του Όθωνα (1833-1863) [The Army during the reign of Otto (1833-1863)] (PDF) (in Greek). 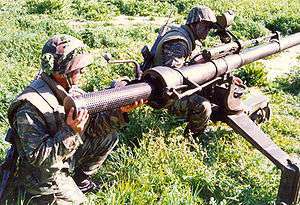 Hellenic Army General Staff. Retrieved 18 April 2012. ↑ Ο Ελληνικός Στρατός από το 1864 μέχρι τον Ελληνοτουρκικό Πόλεμο του 1897 [The Hellenic Army from 1864 until the Greco-Turkish War of 1897] (PDF) (in Greek). Hellenic Army General Staff. Retrieved 18 April 2012. ↑ Tsoukalas, Konstantinos (1977). "Η ανορθωτική προσπάθεια του Χαριλάου Τρικούπη 1882-1895" [The recovery effort of Charilaos Trikoupis 1882-1895]. Ιστορία του Ελληνικού Έθνους, Τόμος ΙΔ′: Νεώτερος Ελληνισμός από το 1881 ως το 1913 [History of the Greek Nation, Volume XIV: Modern Hellenism from 1881 to 1913] (in Greek). Ekdotiki Athinon. pp. 8–87. ↑ Pikros, Ioannis (1977). 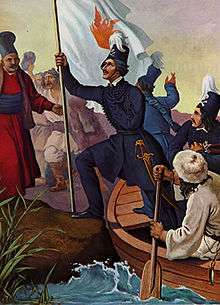 "Ο Ελληνοτουρκικός Πόλεμος του 1897" [The Greco-Turkish War of 1897]. Ιστορία του Ελληνικού Έθνους, Τόμος ΙΔ′: Νεώτερος Ελληνισμός από το 1881 ως το 1913 [History of the Greek Nation, Volume XIV: Modern Hellenism from 1881 to 1913] (in Greek). Ekdotiki Athinon. pp. 125–160. ↑ Η αναδιοργάνωση του Στρατού μετά το 1897 και η μεγάλη εθνική εξόρμηση 1912-13 [The reorganization of the Army after 1897 and the great national assault 1912-13] (PDF) (in Greek). 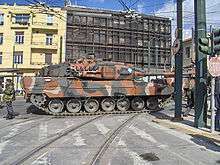 Hellenic Army General Staff. Retrieved 18 April 2012. ↑ Oikonomou, Nikolaos (1977). "Η αναδιοργάνωση του στρατού από την κυβέρνηση Θεοτόκη" [Reorganization of the army by the Theotokis government]. Ιστορία του Ελληνικού Έθνους, Τόμος ΙΔ′: Νεώτερος Ελληνισμός από το 1881 ως το 1913 [History of the Greek Nation, Volume XIV: Modern Hellenism from 1881 to 1913] (in Greek). Ekdotiki Athinon. pp. 186–192. 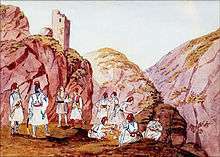 ↑ Ιωάννη Α. Ραγιέ. "ΣΤΡΑΤΗΓΙΚΟ ΔΟΓΜΑ – Προς ένα ρεαλιστικό αποτρεπτικό δόγμα". ΣΤΡΑΤΗΓΙΚΗ: ΕΘΝΙΚΗ ΑΣΦΑΛΕΙΑ, Ιούλιος 2008, pp. 118–121.